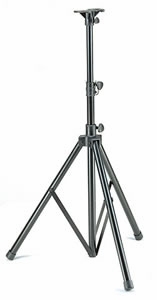 Odyssey LTS1 Tripod Speaker Stand DJParts - All Variety of Parts that DJ Needs. Speaker Tripod - 7.0ft. black aluminum with speaker mounting adapter. 1 black high-quality aluminum tripod with mount.